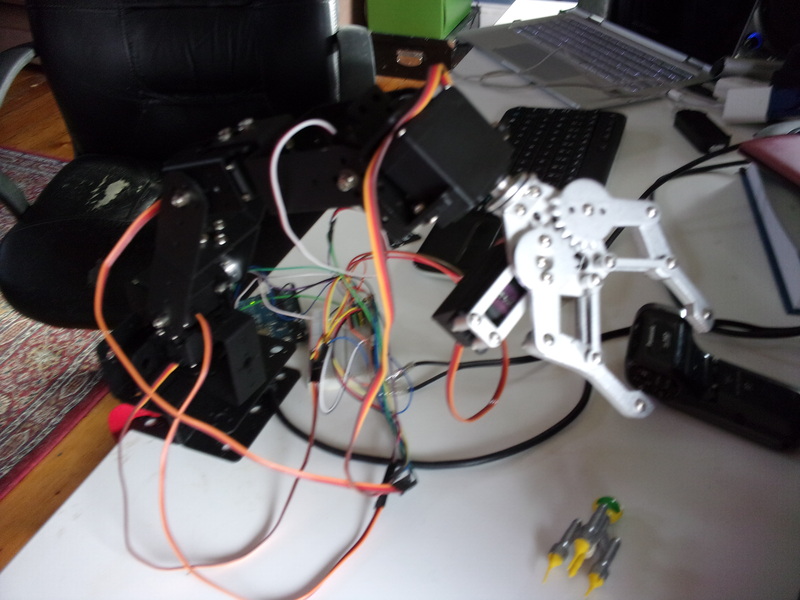 I have been working on some robotics projects recently and here is one of them! 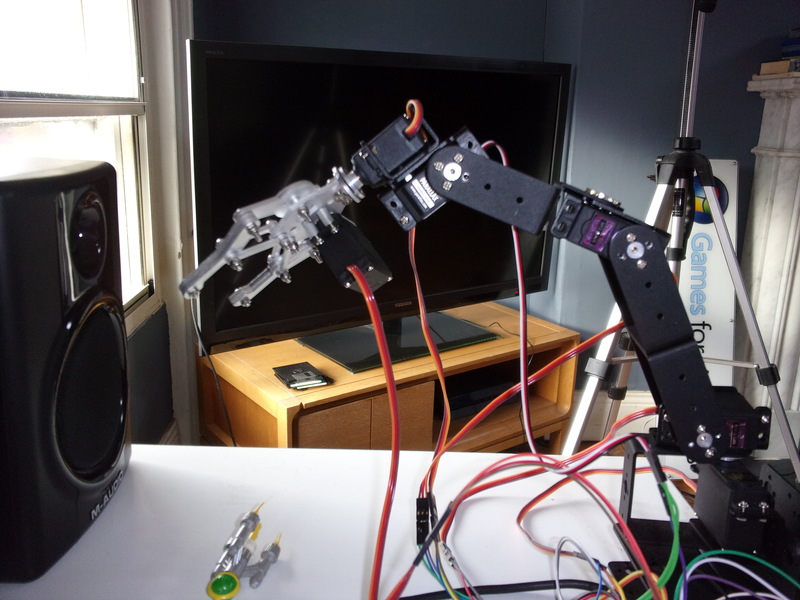 Project Janus is a gesture tracked robot arm. 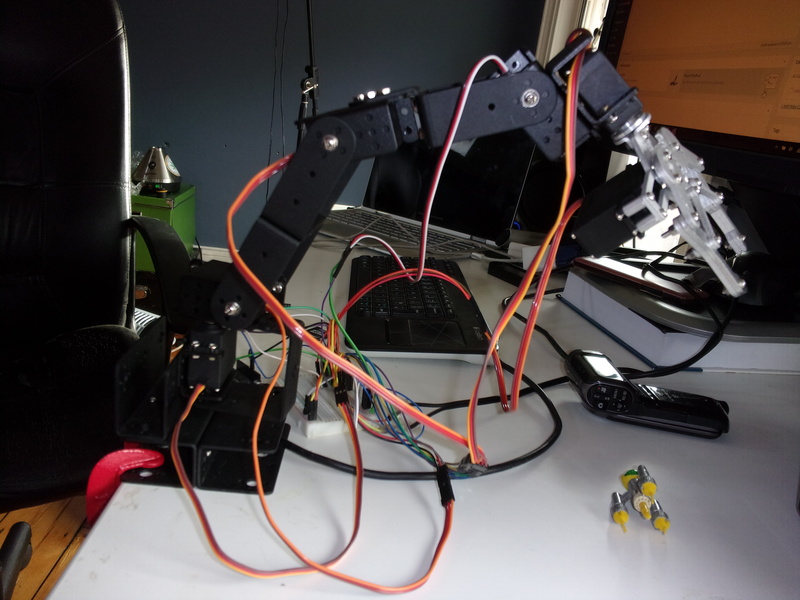 The arm is assembled from a cheap kit I bought on eBay and it’s connected to an Ardunio micro-controller. 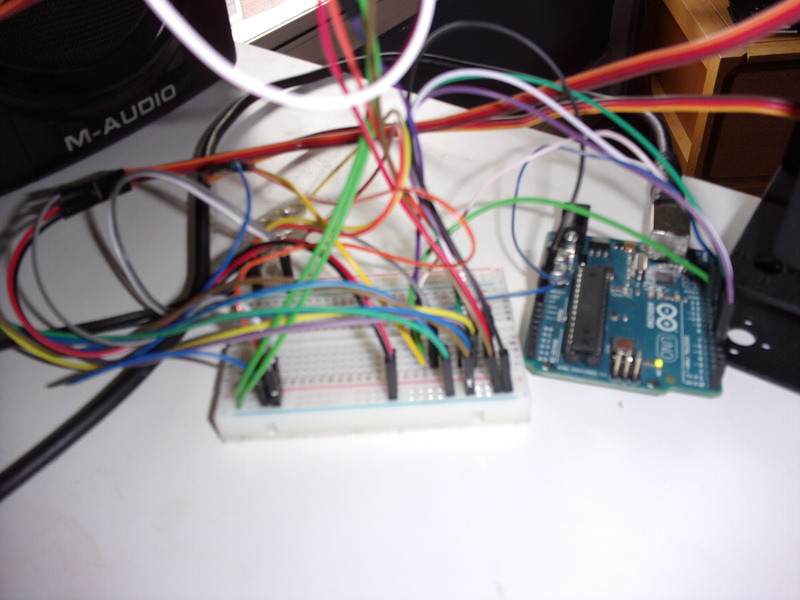 The Arduino is running a sketch that allows me to set the angles of each of the servos by sending commands over the USB connection. A sketch written in Processing is running on the connected laptop. The sketch has sliders that allow me to set the the angles on each of the servos. 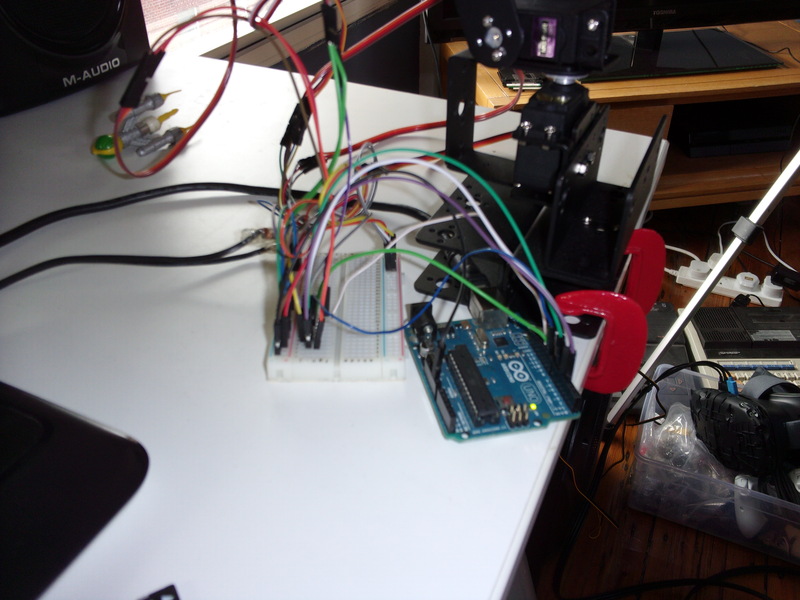 Additionally I use a leap motion to allow me to control the robot arm using intuitive hand gestures. I’m hoping to try out the latest leap motion SDK and also the make the arm controllable over the internet.